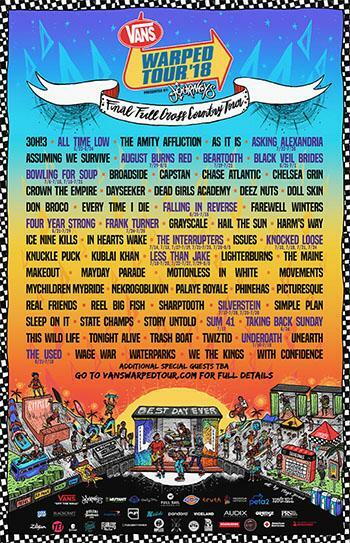 Early Bird Tickets, as well as Super Fan Bundles, for this year's tour on are sale now and can be purchased at www.vanswarpedtour.com. 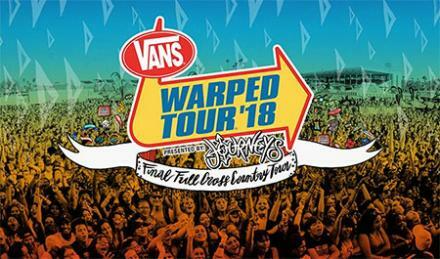 As a bonus for early ticket buyers, the first 500 tickets sold for each show will be at the lowest price available and will include a digital download of the Official Vans Warped Tour 50-song compilation. The cover was revealed earlier today, and features Tonight Alive's Jenna McDougall. 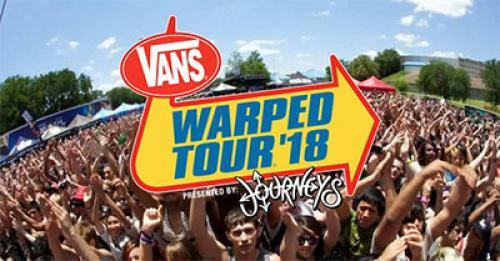 Alternative Press readers voted the Vans Warped Tour as the "Best Tour/Festival" and Rolling Stone called it "America's Most Successful Festival."